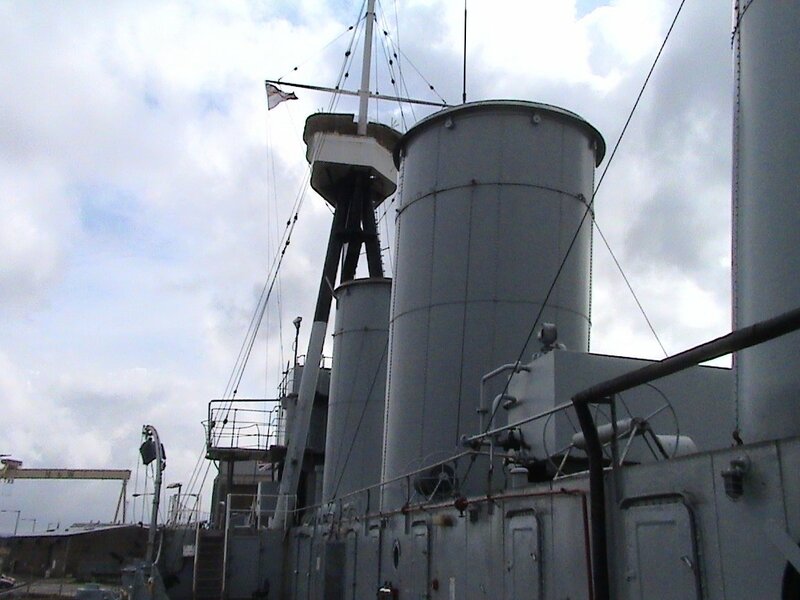 HMS CAROLINE was at the forefront of technological achievements in her day. 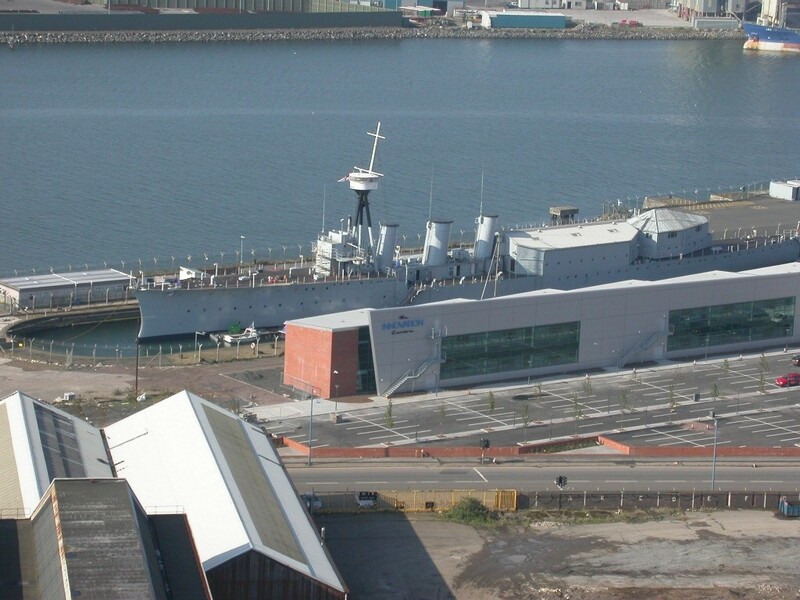 She still holds the record for fastest build time of any major warship, having been completed in nine months in 1914. She was fitted with the latest in modern guns and gunnery controls, the latest armour, new radio communications, and the best of the new water tube boilers. 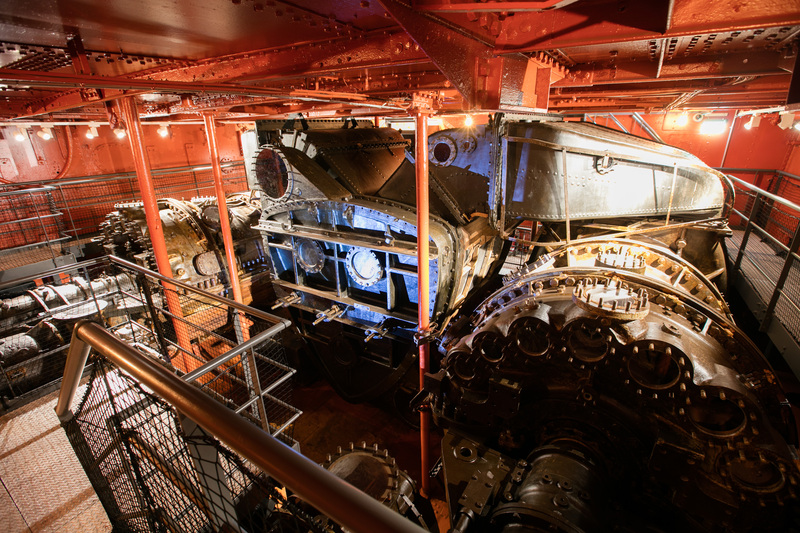 The steam from these powered the newly developed Parson’s Pinion Geared Turbines, which enabled her to reach speeds of up to 30 knots that had been unachievable only a few years earlier in vessels fitted with the old reciprocating engines. HMS CAROLINE’s turbines are still in situ on the ship. These are the only in situ turbines of this type anywhere in the world. 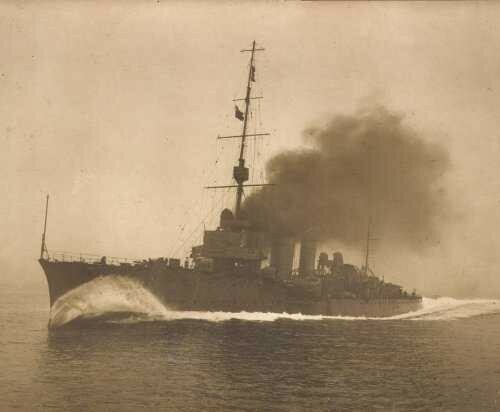 HMS CAROLINE also burnt oil in her boilers, not coal, another technological revolution of the Edwardian Royal Navy. HMS CAROLINE therefore encapsulated a series of rapid technological advances between the late 1880s and 1914 that fundamentally changed warships and the way they fought. 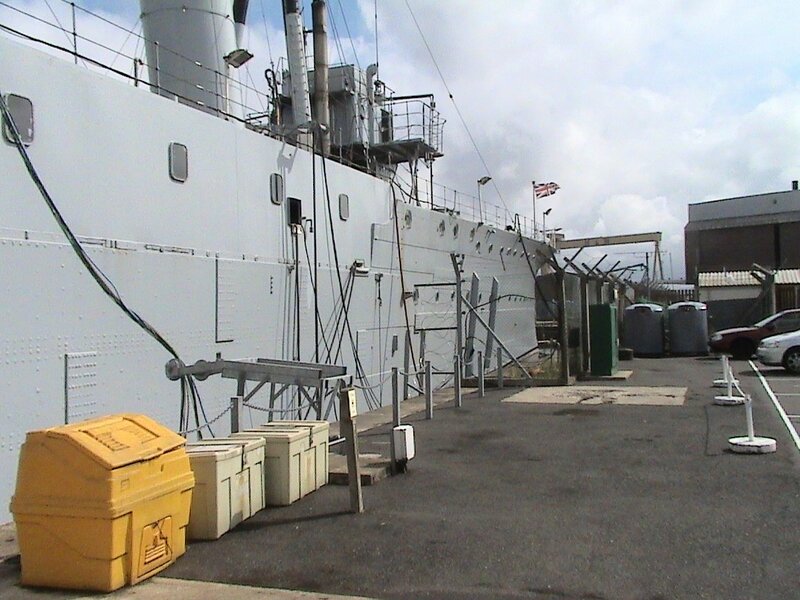 As such, HMS CAROLINE is a vital component of Britain‘s industrial and technological history as well as its naval past. 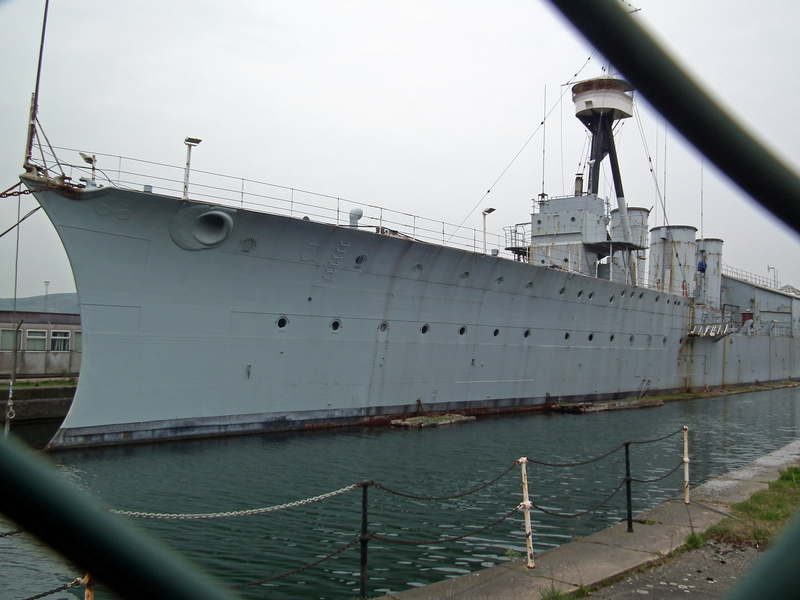 HMS CAROLINE is largely unchanged from the day she was built. She still has 85 percent of her original construction, which adds greatly to her significance. 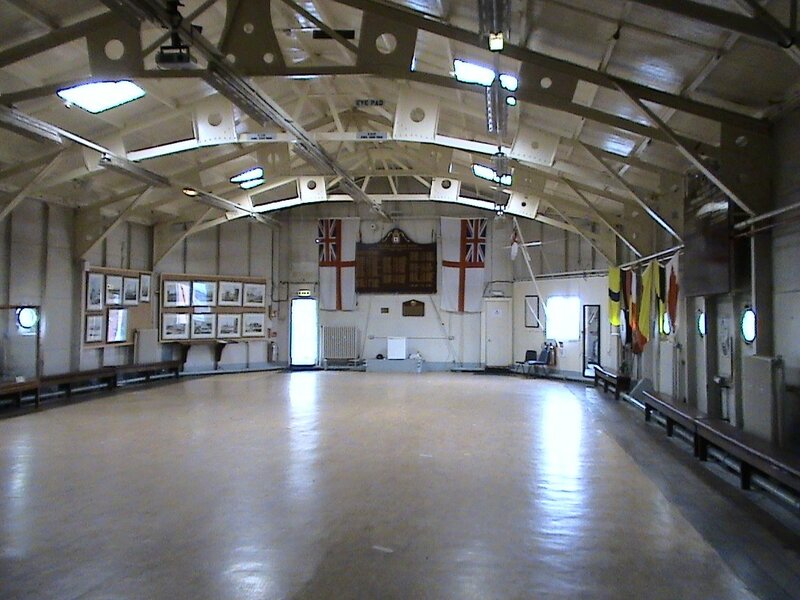 A major conservation project was completed in 2016 which returned her to her configuration at the time of the Battle of Jutland. 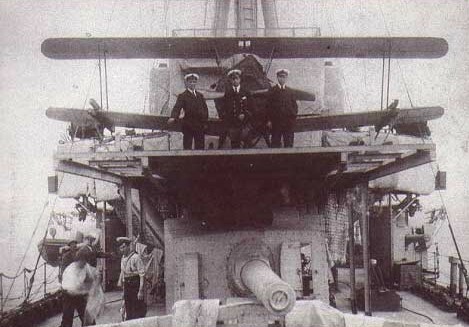 Above deck large guns and torpedoes have been installed along with an anti-blast apron. 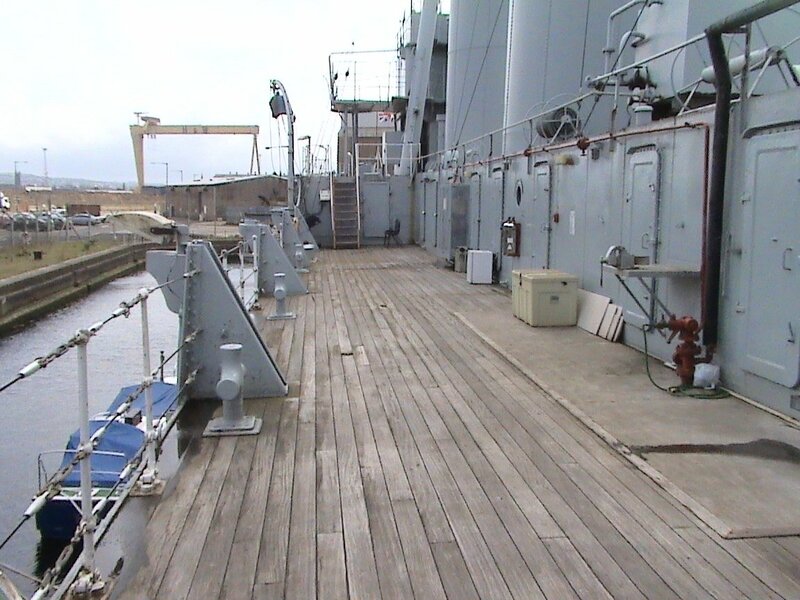 Decking has been replaced, but original features include the living quarters and engine rooms, and the compasses and telegraphs on the bridge. 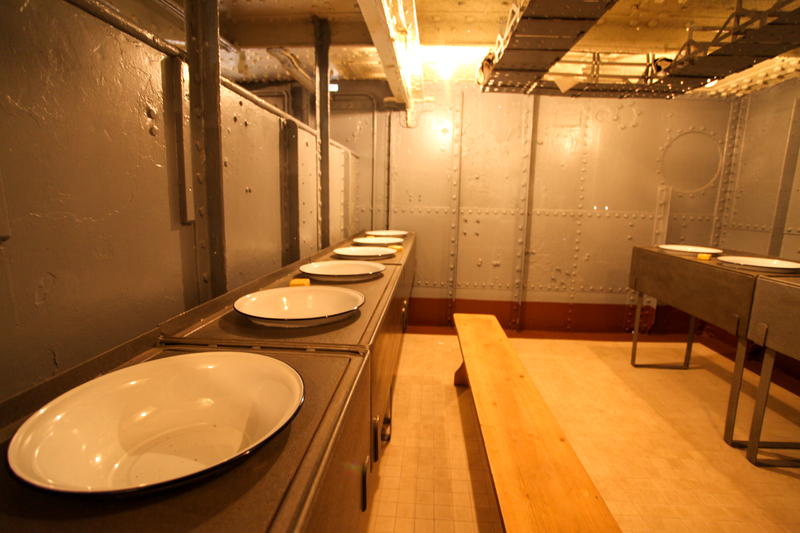 The Captain’s, senior officers’ cabins and sick bay have been restored to their 1916 configuration. The First Rates Mess and galley kitchen have been converted to a café. 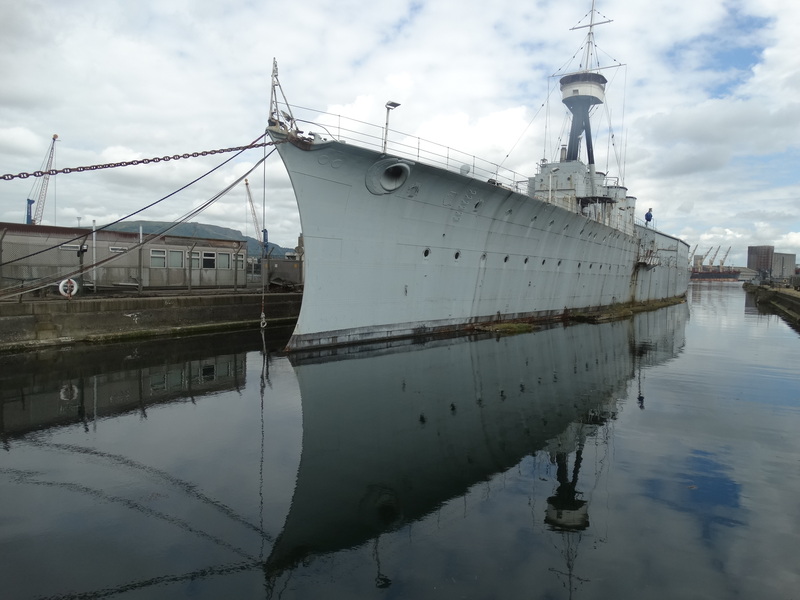 Built in 1914, HMS CAROLINE is the only survivor of both the Grand Fleet and the Battle of Jutland, and as such she is of both national and international importance. She provides a vital source of evidence about Britain’s involvement in the First World War, and specifically in the Battle of Jutland. This battle was fought between the British Grand Fleet and the German High Seas Fleet in 1916. It was the largest surface naval battle of the modern era, and was the only major fleet action of the First World War. It also played a key role in the demise of battle cruisers. The Battle of Jutland is one of the most controversial naval actions in the Royal Navy's long history. HMS CAROLINE played a key role in this Battle, and despite being in the thick of the fighting, the ship was not hit and none of her crew were killed or injured during the battle. 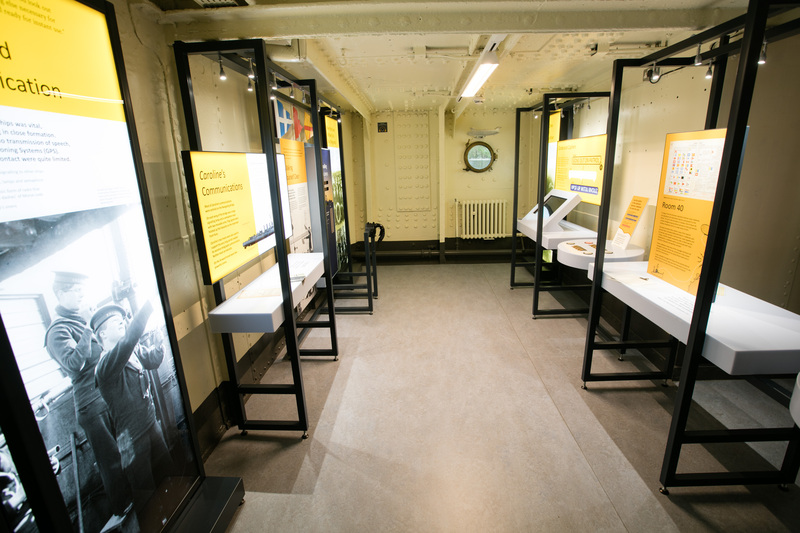 The personal accounts of some of the crew who were aboard HMS CAROLINE during the Battle of Jutland survive; their descriptions of the battle and of life on board provide an important additional dimension to the understanding of this historical event. 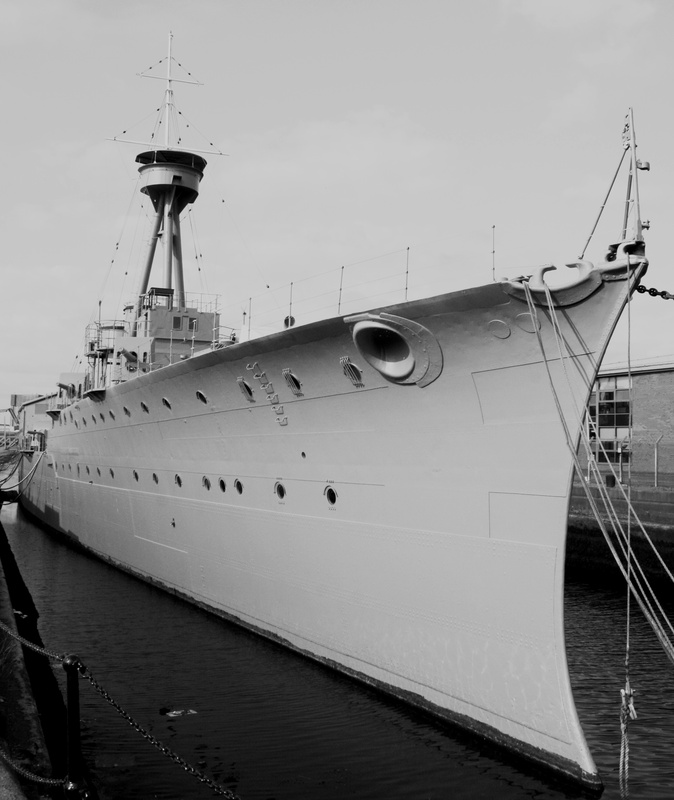 With the outbreak of the Second World War, HMS CAROLINE again assumed centre stage in the Battle of the Atlantic, one of the biggest naval battles of the war. 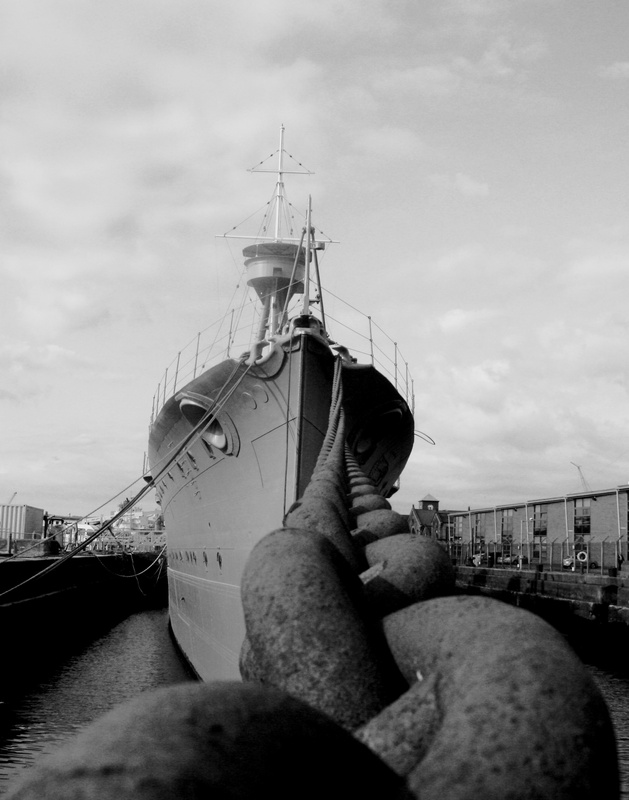 At first, HMS CAROLINE offered signal and cipher facilities that were focused on detecting U-boats in the Irish Sea. By the end of 1940, she was the command base for seventy mine-sweeping and anti-submarine trawlers that travelled as far away as Canada to protect ships. 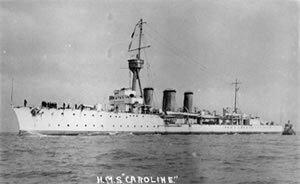 By 1943, destroyers, corvettes and frigates were all using HMS CAROLINE as a base for anti-U-boat patrols. 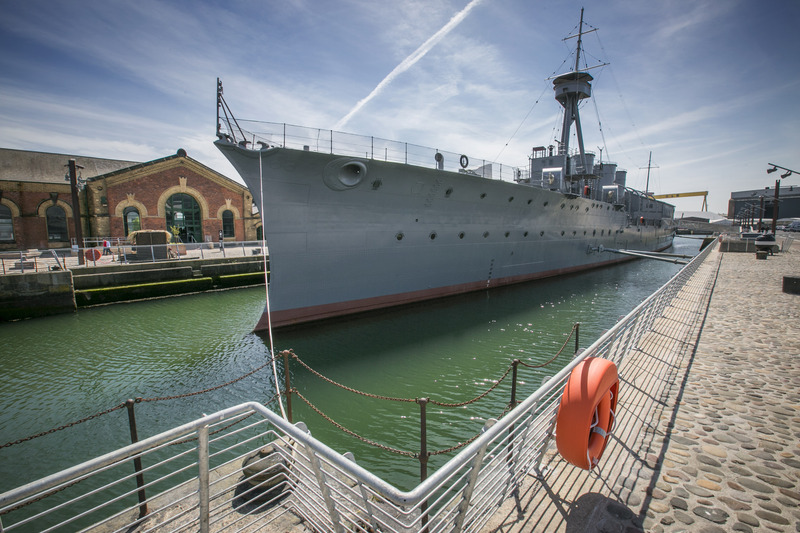 HMS CAROLINE thus provides a key link in telling an important story of collective involvement in the First World War, the Battle of Jutland and the Battle of the Atlantic in the Second World War. She also provides an important source of evidence for future generations. She has been recorded on the National Register of Historic Vessels since 1996 and is part of the National Historic Fleet. 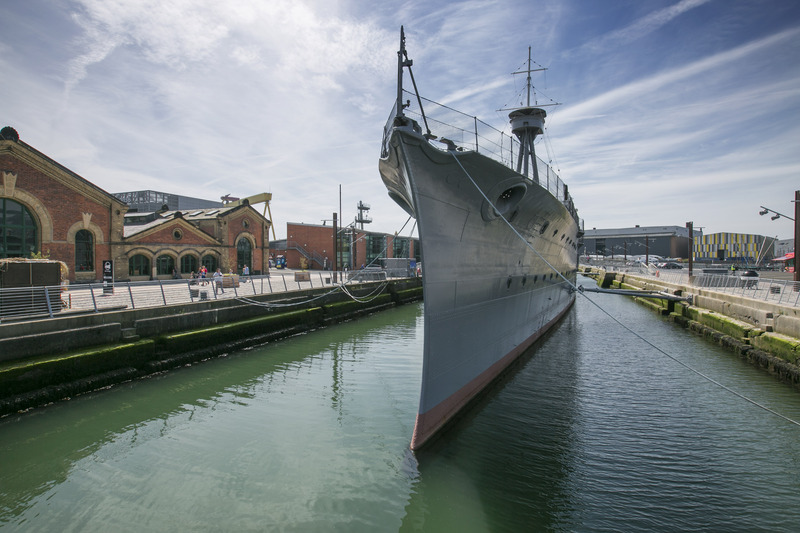 HMS CAROLINE has a dramatic and evocative presence, with her distinctive lines as a First World War light cruiser. 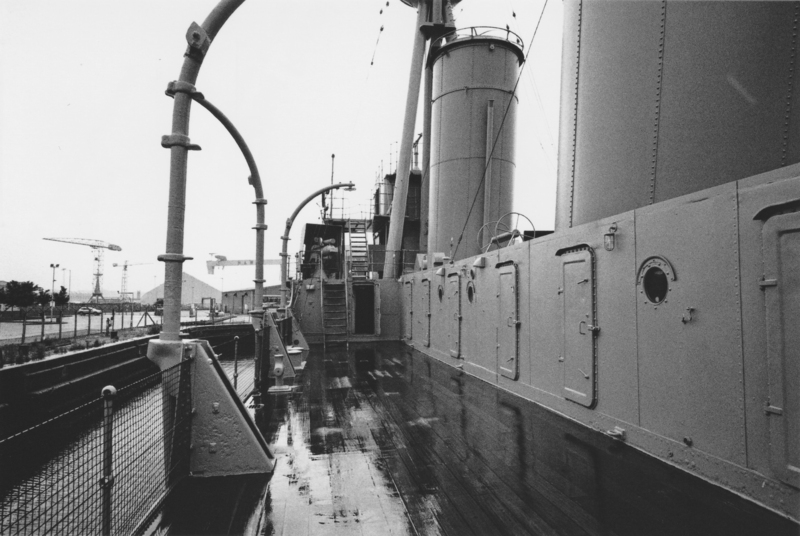 Her bow is crescent-shaped to facilitate the ramming of submarines; she is the only ship in the world to have this style of bow. 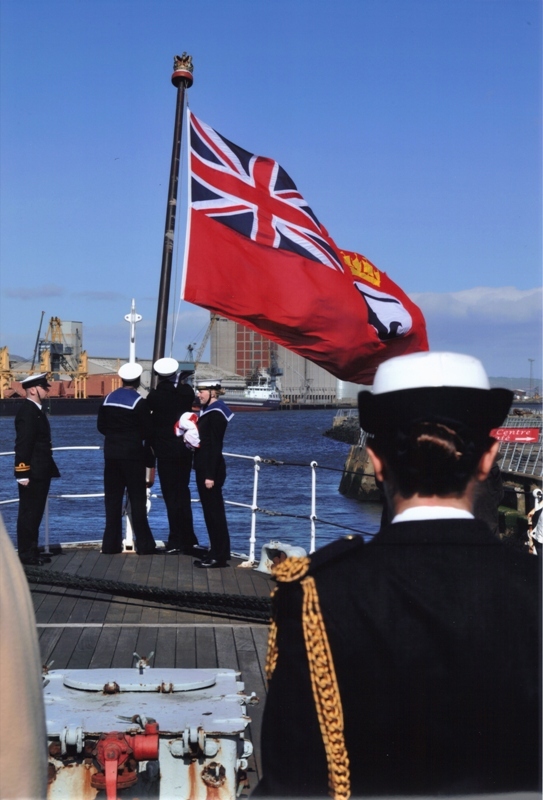 Formal decommissioning of HMS CAROLINE as a Royal Navy warship took place on 31 March 2011. 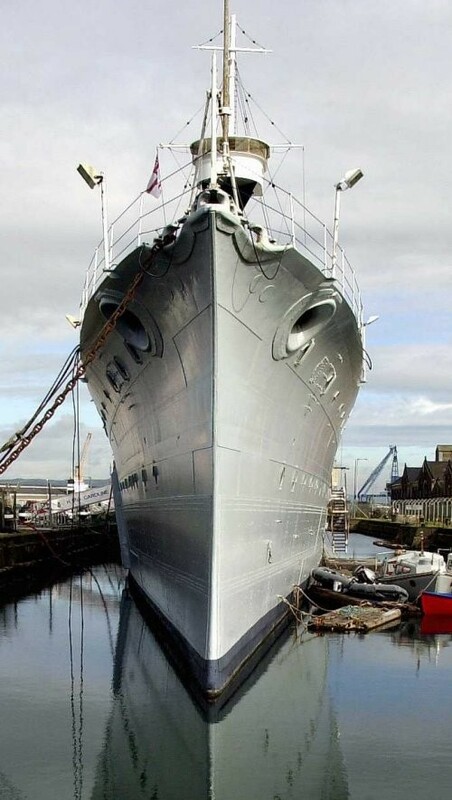 She is currently located at Alexandra Dock, Belfast, Northern Ireland where she was home to the Ulster Division of the RNR between 1924 and 201. 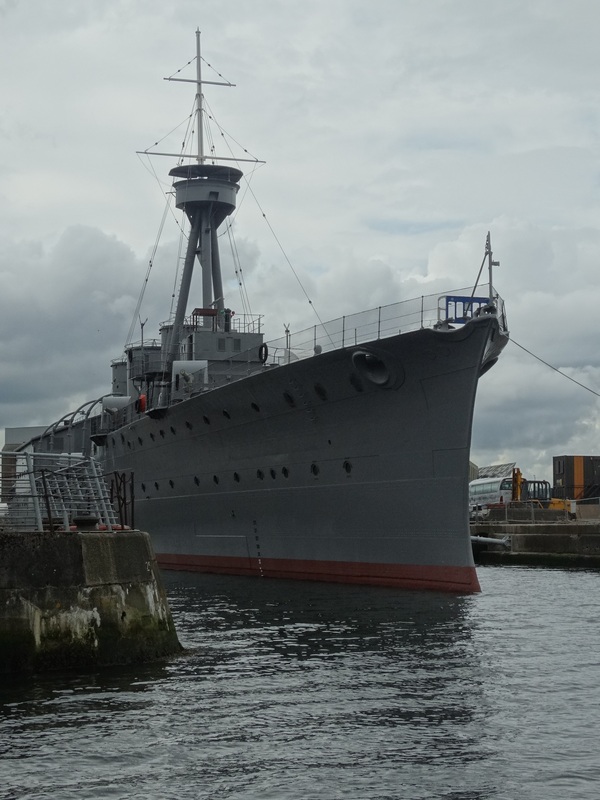 Between 2013-2016 she received extensive Heritage Lottery and Tourism Northern Ireland funding to safeguard her by making her wind and watertight and to present her as a high quality visitor attraction telling the story of life on board the ship throughout multiple periods of history, in times of war, peace and political upheaval in Northern Ireland. 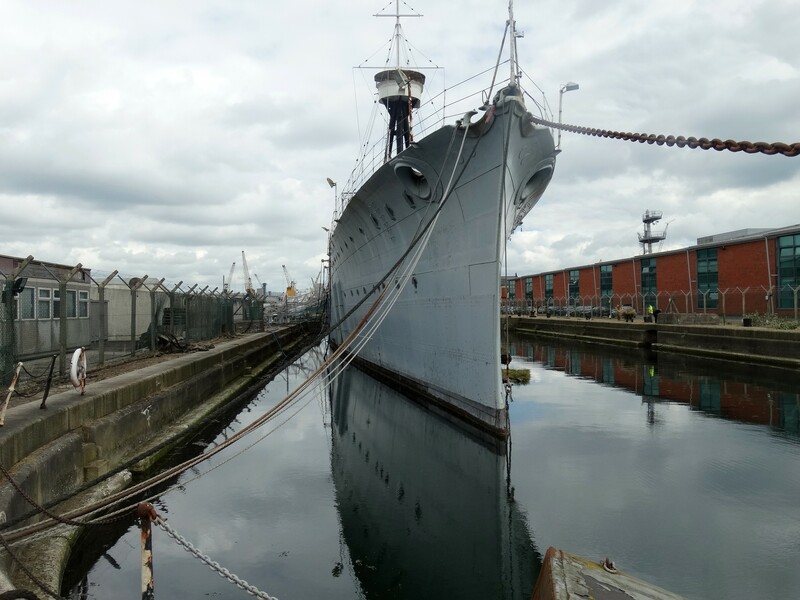 Whilst no longer operational, today HMS CAROLINE is a visitor experience in Belfast's Titanic Quarter, allowing visitors to discover a range of historic spaces including the Captain Crookes Cabin, engine room, sick bay and galley kitchen. 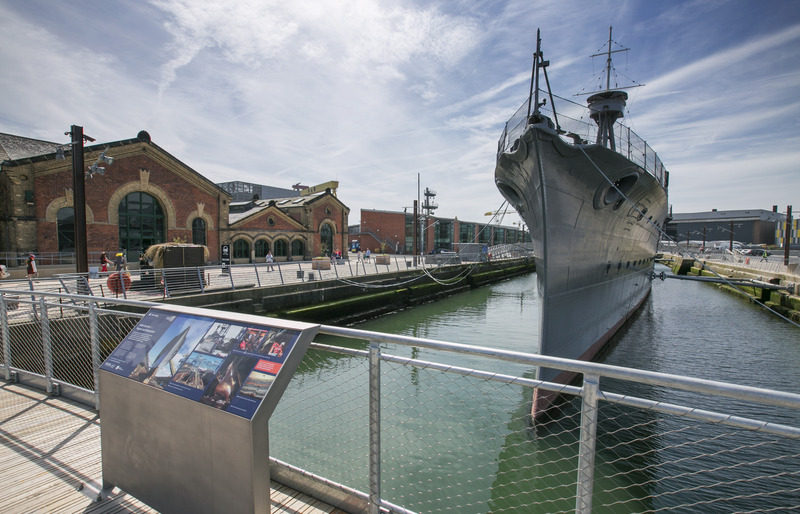 Visitors can explore, through a mixture of historic restoration, state-of-the-art special effects and hands-on interactive exhibits, the importance of the Battle of Jutland and discover what life was like at sea for the over three hundred crew who served on board. NHS-UK team, 05 January 2017. HMS CAROLINE was the name ship of a class of six light cruisers built by Cammell Laird in time for the outbreak of the Great War. Launched and commissioned in 1914 she joined the Grand Fleet at Scapa Flow. In 1916 she was engaged in the Battle of Jutland. In 1918 the Admiralty experimented with launching a light aircraft from a platform aboard a ship and HMS CAROLINE was the chosen vessel. 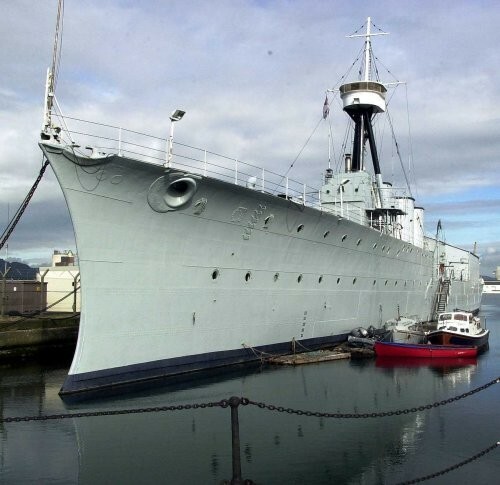 In 1924, after two years on the reserve list, she was transferred to Northern Ireland as HQ for the local division of the RNVR and was converted for this new duty at Harland & Wolff's yard. 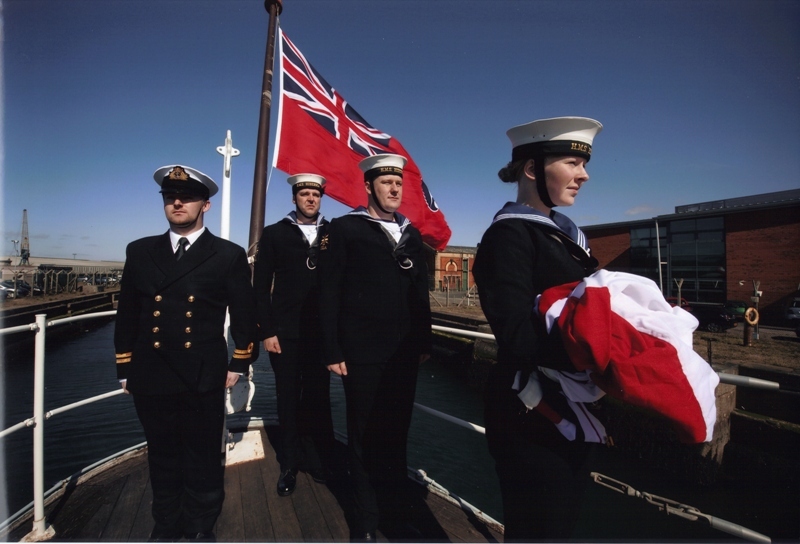 In 1993 she became the Reserve Training Centre to recruit and train RNR officers and ratings. 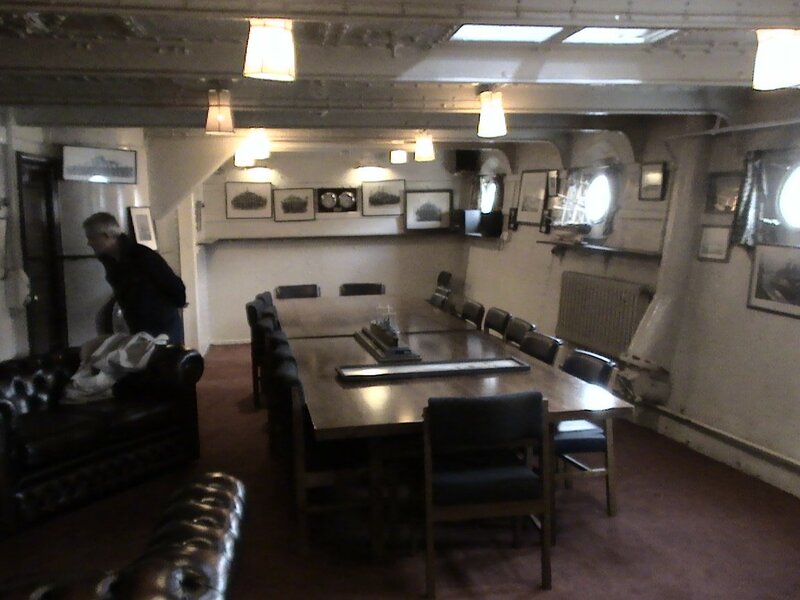 At the time of her decommissioning in 2011 HMS Caroline was the second oldest commissioned ship in the Royal Navy - HMS Victory being the first. 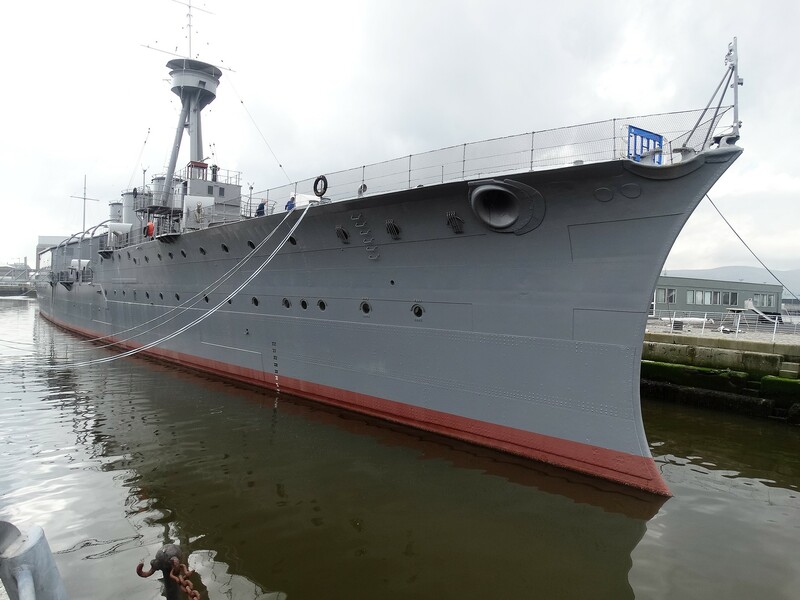 She is also the last surviving vessel of any nation which fought at the Battle of Jutland.